We were on our way to the arid camps of Thar Desert, Jaisalmer. 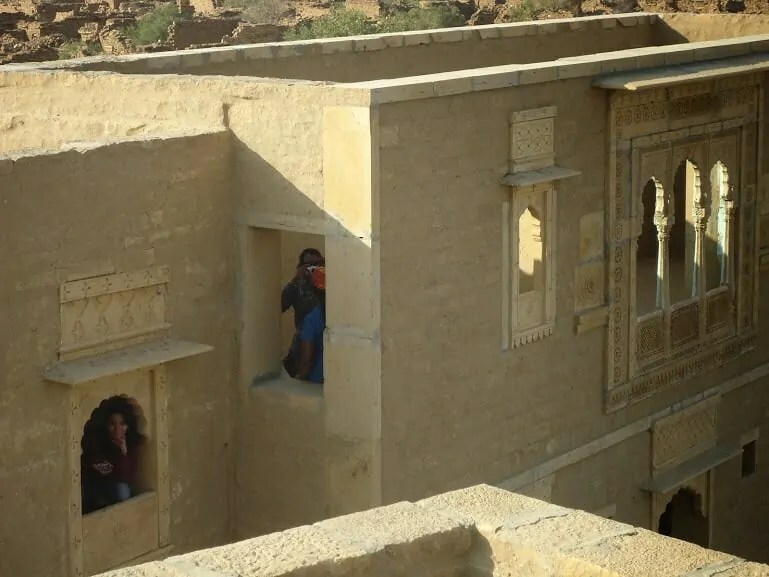 Around 20 kms before the destination, our driver suggested us that we should give a visit to “ Kuldhara” on the way as it is one of the tourist attraction in Jaisalmer. I misheard it to gurudwara, so i simply agreed without asking for any details. Our driver turned the vehicle to enter a gate where we paid the entrance and parking charges etc. There I just saw walls with no roofs all around. I asked driver,” Where is gurudwara?” to which he corrected me and told the story of the abandoned village. 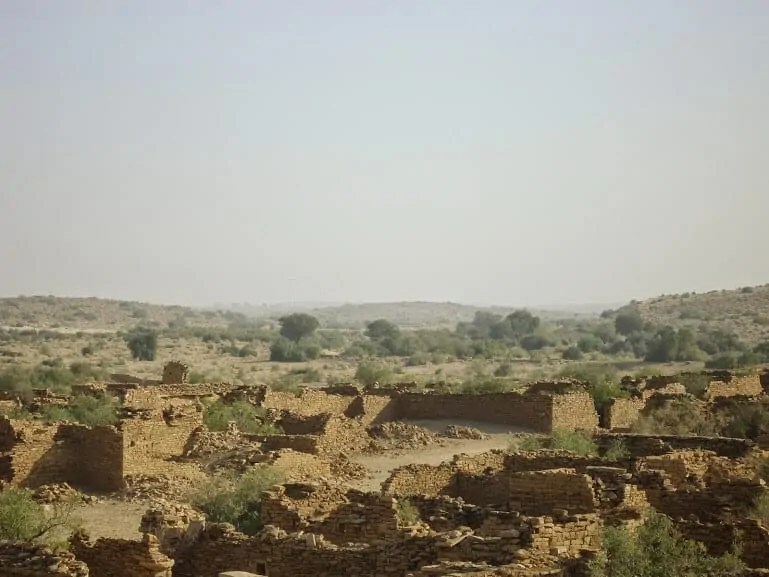 As per him (who was the driver, the guide and the local resident), the kuldhara village was deserted by its own residents some 200 years ago. While leaving the village they cursed Kuldhara, that no one would be able to live in that place again. The kuldhara village was occupied by the Paliwal Brahmins and was ruled by the powerful and debauched king Salim Singh. He was eyeing the beautiful daughter of the village and wanted to marry her by force. Villagers were threatened of heavy taxes if they tried to obstruct his motives. On the same night, the village was completely abandoned and was cursed by villagers. It is said to be haunted since then. 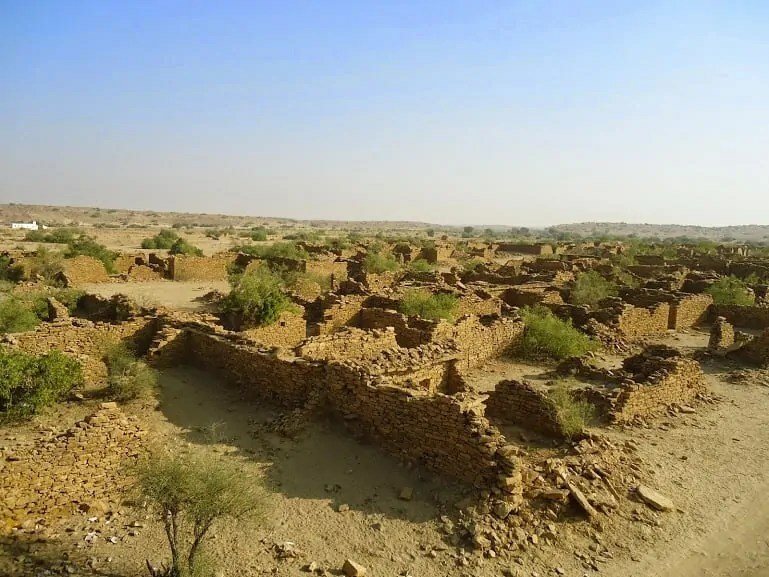 This property kuldhara is maintained by Archaeological Survey of India as a heritage site. Paranormal society of India, studied the location by spending a night there with a team of 15 people. They acknowledged that things are abnormal at this scary place. We also felt sadness in the air of this haunted place. There were around 20 more tourists other than us, at the location. The thing that amazed me was there wasn’t any sign of any food, water or tea vendor nearby. With such a good footfall why there is not a sign of any budding business. It may be because of fear of curse or it might be any technical reason. Among all the desolated houses, or can say walls without roof, only one house and a temple was well built. It was told by the guide that the house belonged to the girl. We climbed up the steps of that house; ruined village was very clearly visible from there. We didn’t feel any paranormal activity, might be because of the day time. After half an hour, we again resumed our journey to Jaisalmer but with lot of curious questions.